If you are a food safety supervisor, you will need to do your food safety supervisor training. 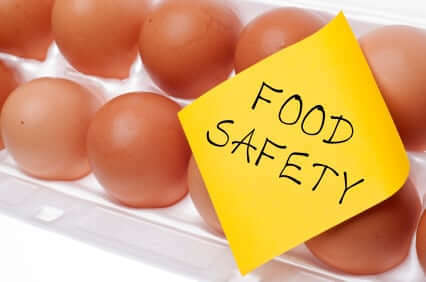 This food safety training will qualify you to handle food as well as manage other food handlers in commercial settings. 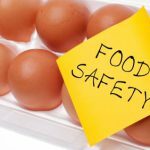 A food safety supervisor needs to understand food hazards, including bacteria. Did you know that bacteria are the most common cause of food poisoning? While some bacteria are actually beneficial, others can cause food to go off, known as spoilage bacteria. Bacteria are found everywhere. In fact there is not a place on Earth where bacteria are not found. Bacteria are very small living organisms known as micro-organisms. They are made up of a single cell and a cell membrane. Look at your hands: you will not be able to tell that right now there are over one million bacteria on them. More bacteria mean greater risk. Controlling the number of bacteria, particularly harmful bacteria, is the first step in preventing serious illness from contamination. Your food safety supervisor training will equip you with the knowledge do this. Whatever their shape or size, all bacteria live, grow and multiply. They live and grow by absorbing their food and water through their membrane and excreting their waste products back through this membrane. Sometimes, the bacteria themselves are toxic but it’s also the process of growing and the waste they produce that cause food poisoning and food spoilage. Bacteria need specific conditions to live grow and multiply. In the right conditions, bacteria will grow very quickly and can divide into 2 in about 15 minutes. Without water, bacteria stop growing and can die. In fact bacteria themselves are made up of mostly water. Have you ever wondered why dried & salted foods were common before refrigeration? Salting removes moisture through a process called osmosis, creating an environment in which bacteria cannot survive. Living things need protein. Without a food source such as protein, bacteria cannot survive. Can you guess which foods bacteria will thrive in? Moist foods, with a neutral pH that are high in protein. These are potentially hazardous foods because bacteria can live, grow and multiply to dangerous numbers. Foods that have the right conditions to support bacterial growth and that may contain harmful or pathogenic bacteria are termed ‘high risk foods’. Seafood, meat and small goods, poultry, dairy and egg-based foods, soups, stock and sauces, fruits (including rockmelon, watermelon, blueberries and fruit salad), pre-made salads, pate and soft cheeses, ice-cream, cooked rice and pasta. Consider this: it can take as little as 4 and half hours for 10 bacteria to multiply into over 1.3 million in ideal conditions. With potentially millions of bacteria on dirty hands alone, and one thousand on a single hair, food left uncovered or unrefrigerated is easily spoiled or contaminated by bacteria. Did you know that the bacteria in milk can survive pasteurisation and still cause a carton of unopened milk to go off? For further important food safety information, supervisors should complete their food safety supervisor training online to meet their compliance training obligations.